3mm Miyuki bugle beads are ideal for bead weaving and embroidery. Japanese Miyuki beads are well-known for their uniform size and shape, as well as their large stringing hole that allows for multiple passes with your needle and thread. 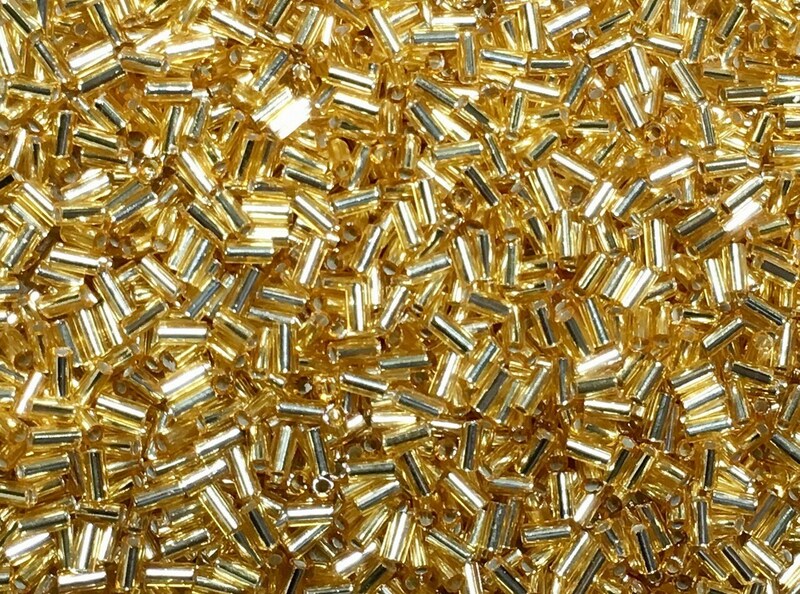 You will receive one 6 inch tube of bugle beads, size 3mm x 1.5mm, 28 grams (around 2480 beads per tube). Beads are sold by weight, and different glass colors weigh different amounts - that means counts will vary according to bead color and glass type/surface finish.